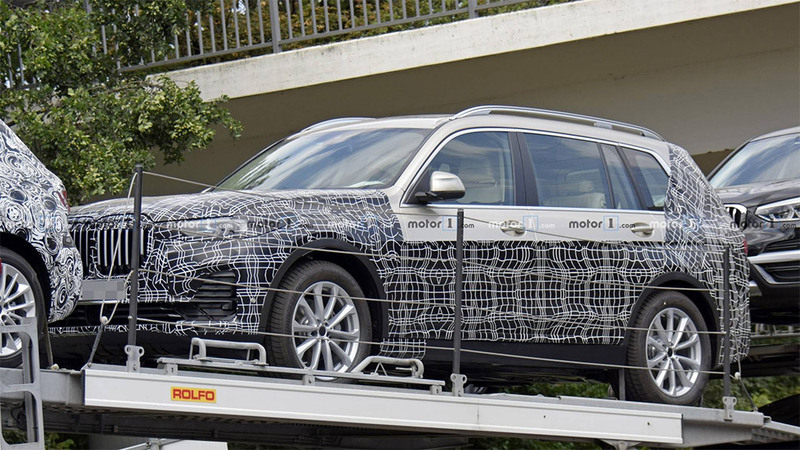 Paparazzi infiltrated the interior of the huge BMW X7 SUV. The Motor1 publication immediately spread across on the Web. The car will acquire a brand new 8-Series "device" with a large iDrive sensor, like the 5-Series sedan. The interior is decorated with leather, wood, and Alcantara. New BMW X7 is provided with a design reminiscent of the prototype Concept X7 iPerformance 2017. The car differs from the younger BMW X5 and X6 in a 3-seater cabin, where can easily fit 6 people. The big novelty is made on the new modular base CLAR, which debuted in the new flagship 7-Series in the body sedan. From it, our hero will take and diesel with gasoline engines, where will fall the most powerful V12. There will be another hybrid version with the installation of the X5 xDrive40e at 313 hp. The premiere of the novelty is expected for the next month.